Tilda Swinton is basically the David Bowie of film, a multi-faceted, eccentric chameleon who is equally comfortable in experimental, art house cinema, character-driven indies as she is in massive blockbusters. It helps that she's a spitting image of the late Bowie, too. In a 30-plus-year career, between acting, performance art, theatre and more, it's less that Swinton has gotten increasingly adventurous and more that now even mainstream audiences have come to accept her frequent innovations and daring transformations. She has arguably pulled her biggest gambit yet in Luca Guadagnino's "Suspiria," opening Oct. 26. Here's how Swinton has evolved. "Caravaggio" (1986) Tilda Swinton's first film was the experimental drama "Caravaggio," kicking off a long, working relationship with director Derek Jarman. It's a fictionalized look at the life of Michelangelo and also is the film debut of actor Sean Bean. "Orlando" (1992) Swinton landed the lead role in Sally Potter's Elizabethan-era drama "Orlando," an adaptation of the Virginia Woolf book. It was the first example of Swinton exploring androgynous characters on screen, for which she's come to be known. "The Beach" (2000) Swinton kicked off a string of bigger budget studio projects at the turn of the century, starting with a small part opposite Leonardo DiCaprio in Danny Boyle's adventure "The Beach," as well as Cameron Crowe's "Vanilla Sky" in 2001. She appeared in "Adaptation" with a very sweaty Nicolas Cage in 2002 and was eventually opposite Keanu Reeves in "Constantine" in 2005. "The Chronicles of Narnia: The Lion, The Witch and the Wardrobe" (2005) For the adaptation of C.S. 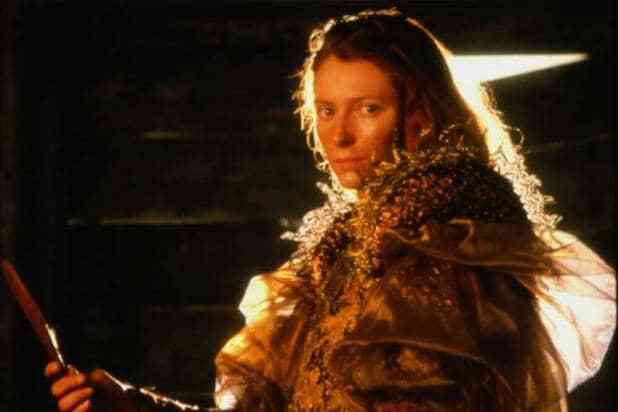 Lewis's iconic "Chronicles of Narnia" novels, Swinton played the villainous White Witch, bringing her icy glare, exotic fashion sense and intensity to the otherwise campy children's fantasy. 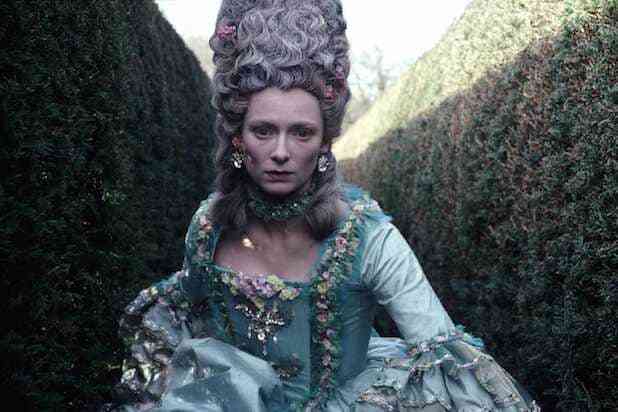 It's as though Swinton saw David Bowie in "Labyrinth" and thought, "I need to do that." Swinton would reprise her role in several of the film's sequels. "Michael Clayton" (2007) Swinton won an Oscar for Tony Gilroy's legal drama "Michael Clayton" opposite George Clooney. Her performance is as clean cut and precise as her "Narnia" performance is crazed and intense. But as Karen Crowder, she shows a lot of range as a legal executive, who's both powerful and in control while desperately trying to hide that she's in way over her head. She'd follow up this part with several other prestige roles, including the Coen Brothers' "Burn After Reading" and David Fincher's "The Curious Case of Benjamin Button," both opposite Brad Pitt. "I Am Love" (2009) Tilda Swinton is neither Italian nor Russian, but in "I Am Love," her second film with Luca Guadagnino, she spoke in a Russian accent and learned Italian for the part. She gives a measured, soul-searching performance in Guadagnino's lush, colorful film as part of a family of Italian aristocrats, navigating family dynamics, inheritance and infidelity. "We Need to Talk About Kevin" (2011) By far Swinton's most devastating and emotionally intense performance, in Lynne Ramsay's "We Need to Talk About Kevin," she plays a woman who has been changed by motherhood and is now plagued by her own worse fears and impulses. Her son Kevin seems to have loathed his mother from the day he was born, but both Swinton's performance and Ramsay's handling of the material leaves doubt, mystery and suspicion as to whether Kevin is truly vindictive or if she has actually been neglectful his whole life. The Maybe (2013) Swinton made a lot of noise with the press and with art critics by literally not making a sound. For hours at a time, Swinton came to the Museum of Modern Art to sleep inside a glass box. The piece, called "The Maybe," was Swinton's way of evoking quiet contemplation and thought. She wasn't the first performance artist to sleep inside a museum, and in fact, her 2013 rendition was a remake of when she performed in 1995 with artist Cornelia Parker. "The Stars (Are Out Tonight)" (2013) We already knew Bowie and Swinton were kindred spirits, and in this music video for Bowie's song "The Stars (Are Out Tonight)," the two actually play a married couple. Floria Sigismondi's video along with Bowie's song flips the celebrity-obsessed culture idea on its head, with tabloid stars parading around the streets like zombies infecting the minds of perfectly wholesome couples. It's a fiendishly surreal piece of satire, and Swinton fits the part beautifully. "Snowpiercer" (2013) Swinton brings a devilish sense of humor to Joon-ho Bong's dystopian and otherwise grim "Snowpiercer." She plays another androgynous-looking authority figure aboard a perpetually moving train, spitting and fidgeting with her glasses as she condescends to people at the back of the train she views as lower class citizens. "The Grand Budapest Hotel" (2014) Swinton is hilariously ancient and nearly unrecognizable as an octogenarian patron bedded by Ralph Fiennes's character in Wes Anderson's "The Grand Budapest Hotel." She learned how an old woman might apply makeup and lipstick in order to make her character realistic and funnier, and she played ball when Wes Anderson requested "more liver spots" on her face. "Doctor Strange" (2016) It turns out even Tilda Swinton isn't above starring in a Marvel movie. As The Ancient One in "Doctor Strange," she donned a shaved bald head and a zen confidence as she manipulated time and space. The part was a gender-flipped take from the comics, but her casting also maligned as being white washed. "Okja" (2017) Swinton reunited with Joon-ho Bong to give another characteristically bonkers and satirically twisted performance, this time as twin sisters Lucy and Nancy Mirando. She channels Ivanka Trump as the head of a food conglomerate, chewing the scenery with a gaudy pink suit, bleached blonde bangs, a wicked glint in her eye and a giddy laugh as she delivers nonsensical corporate PR speak. 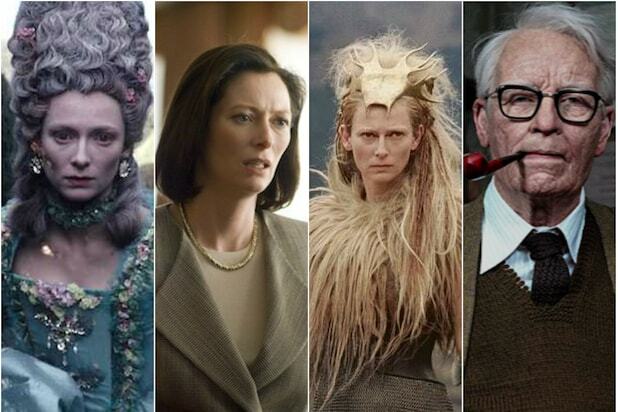 "Suspiria" (2018) When "Suspiria" first premiered, Swinton denied that she was playing three roles in the film, including one of an elderly psychologist under pounds of makeup and prosthetics. Both she and director Luca Guadagnino insisted that the role be played by first-time actor Lutz Ebersdorf. They even read a statement from Ebersdorf when "he" couldn't attend the film's premiere. But months later in a semantic twist, Swinton revealed she wasn't portraying the character in "Suspiria," but she was in fact portraying the actor who plays him in the film.